If you run a business, sell products online, or provide a service to the public, you’ll need to put in a substantial amount of effort to ensure you get paid for your hard work. If you fail to keep up with your pending payments, it will be your fault that you miss out. This is where the proforma invoice template can prove to be very advantageous. Pro forma simply means “as a matter of form”, but it can also be translated to “for the sake of form”. The document is widely used within business and accounting situations and is considered to be a formality. If you’re specifically looking at the proforma invoice, you’ll find that it looks nearly identical to other types of invoices and will contain similar information. The document will include the sender’s name and physical address, as well as the recipient’s name and address. It should also feature an order number along with the order’s date. In the middle of the document, the seller will include a comprehensive list of the items being shipped or sold to the buyer. The seller will also want to place the shipping charges and overall cost at the bottom. This makes it easy for the buyer to know what they’ve bought and how much they were charged. This information can be manipulated or removed as you see it. There are numerous reasons to utilize such a document and many online retailers will do so. Whether you run an online business or just sell on an auction website, you’ll want to make sure the buyer knows exactly what they’re purchased, how much they paid, and when their parcel was shipped. This is why it is wise to take advantage of the proforma invoice template. The document will give you the ability to achieve each and every one of these tasks, without a lot of effort. Managing a warehouse can be difficult. This is undoubtedly true, when you’re responsible for compiling orders and making sure they’re shipped to the client. A pro forma invoice can be very helpful in this type of situation. The document will give you the ability to quickly know who the buyer is, what they purchase, and where to ship their items. By working with the document closely, you won’t have any problem ensuring the appropriate quantity of items are shipped to the right customer. All in all, this document can serve innumerable purposes. Be sure to print a few for yourself, so you can be ready should the need arise. If you happen to run a business, there may very well come a time, when you’re forced to ship items across international borders. Selling to foreign clients can be very profitable and will greatly expand your company’s grasp and clientele base. Unfortunately, shipping to other countries can be a little more complex than shipping nationally. The commercial invoice can help solve problems and ensure your item passes through customs, without any difficulties. The commercial invoice template is commonly used within foreign trade scenarios and serves as a customs declaration. When taking the time to scour over the commercial invoice template, you’ll find that it contains a substantial amount of information regarding your shipment. Generally, it’ll include the sender’s address, recipient’s physical address, invoice date, and tracking number. Although nothing is set in stone, it is possible to add additional information, until you’re satisfied with the final document. Some businesses will also include the item’s country of origin, quantity, unit weight and value, and even total net weight. Also, if you intend to insure the shipped items, you will also want to include the declare value and insurance charge on the invoice. This information will prove to be very beneficial for customs officers, as well as the recipient. Remember that a few details, such as Harmonized System codes, signature, parties involved, and country of manufacture, are all required. Since the commercial invoice template is utilized by custom agents to inspect and approve parcels, it can truly be used for an enormous number of reasons. Although it is more commonly used by commercial entities, hence the name, the document can also be used for personal business ventures. For instance, if you happen to sell something online and intend to ship it to a foreign country, you will most likely need to include a commercial invoice. In fact, sending any type of package to Europe or any other foreign country will require the presence of this document. If you work with a manufacturing company and sell your goods across the world, you will find yourself dealing with this document on a daily basis. Learning to work closely with this document and custom’s requirements for each country is pertinent, if you’re going to succeed in such a business. Those that need to ship internationally will want to go ahead and download the template right now. Be sure to print it off several times, so you can easily recover from mistakes! Bookkeeping and accounting is an intricate part of operating a business. Without the proper tools, there will be many mistakes made and these mistakes could potentially ruin your business. Well, these risks could become a thing of the past, if you are only willing to download and print the Invoice Template Word. This highly intuitive software can definitely help turn that difficult accounting task into a more enjoyable task. 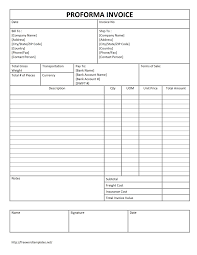 Below, you will discover more information about the Invoice Template Word. 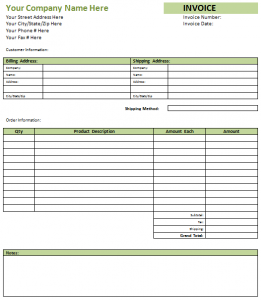 One great benefit of utilizing the Invoice Template Word is it is customizable. This allows you to design an invoice that will suit your needs and preferences. You can even add your brand logo, address, phone number, date, payment source, total, taxes, and grand total. All of these options will help you keep track of your sales, plus it can be utilized by all of your employees. When many people think of invoices, they oftentimes link them to large businesses. Well, this is a huge misconception, because the Invoice Template Word can be utilized by any type of business, whether it is a mom and pop establishment or a giant retail company. In fact, many companies utilize this particular invoice, because it offers simplicity and convenience. Invoice Template Word offers a very cost efficient way to monitor and report accuracy. These statements will take the guesswork out of accounting tasks, plus you can download to your computer and print them in a matter of seconds. If you purchased invoice forms from a printer shop, you would be spending hundreds of dollars every few months, but with the Invoice Template Word, this amount will be reduced significantly. Basically, you will only need to spend money on paper and ink. Not only will you have the option of utilizing the invoice for traditional purposes, but you can utilize it for your e-commerce business. Once you customize the invoice to suit your needs, you will simply download it to your computer and then sync it between your PC and iPhone. This way you will always have instant access to it, just in case a client makes a purchase after business hours. 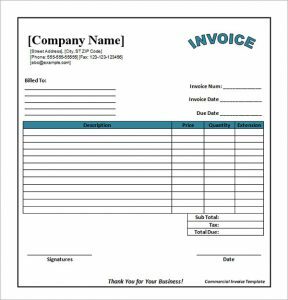 Overall, you cannot go wrong with the Invoice Template Word. It can be utilized for every aspect of your business operations. Not only can you utilize this template for payment statements, but it can be utilized for overdue payments.